It's crazy when you see artists like Twenty One Pilots explode out of nowhere. You ask, "Where the heck did they come from?" Then, a quick Wikipedia search reveals that they've been underground for years. So, you can't help but wonder what relatively undiscovered artist is out there right now that could be big in a year or two. 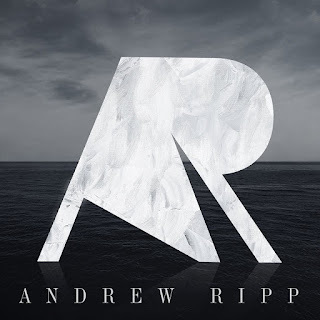 With the release of his new, self-titled album, Andrew Ripp might be huge before you know it. Ripp had put out some pretty good albums - four to be exact - before this year. But, with his latest release, he is poised to tear up the singer-songwriter genre with his infectious, sometimes funky tunes that dance between the singer-songwriter and pop/rock genres. Think Jason Mraz collaborating with One Republic and challenging each other to take it to the next level. Ripp wastes no time showing off his limit-pushing tenor range and emotional vocal delivery with "Deep Water." And "Falling Faster" leaves no doubt that Ripp's songwriting is radio-ready. That funkier side I mentioned is in full effect on "Animal" and "I Can't Help Myself." Then, Ripp single-handedly resurrects the lost art of storytelling through song with "Waiting Room," which metaphorically takes the listener to an emergency room scene where he awaits news about a loved one. With many singer-songwriter efforts, the crown jewel of a release is its pop ballad. "Hole In My Heart" is just that jewel, shining like the millions of diamonds Ripp will be able to afford if this tune gets all of the airplay it deserves. While "how big" an artist becomes often is determined by how he is marketed by whatever record label, management, or other entity is responsible for the business end of his music business, Andrew Ripp has certainly done his part to deliver one of the best singer-songwriter albums of this generation. # of Facebook page "Likes" for Andrew Ripp at the time of this writing: 17,492.